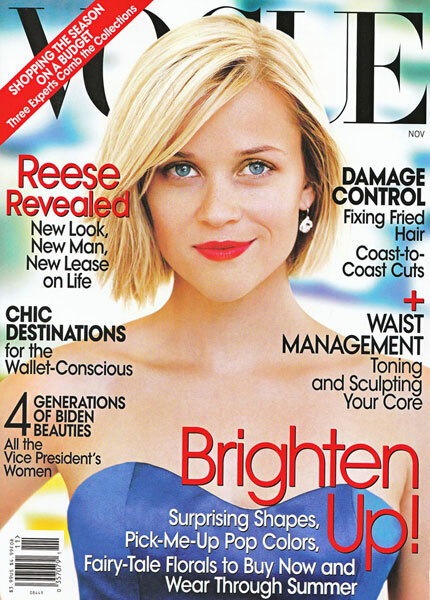 They’ve cozied up in Morocco and watched fireworks in Paris: It’s good to be with Jake Gyllenhaal, says Reese Witherspoon to Vogue magazine as she posed for the cover of the latest issue. While on the set of her upcoming comedy Four Christmases, Witherspoon couldn’t resist costar Vince Vaughn’s sense of humor. Definitely buy this issue of Vogue. Inside you will see the most fashionable photo shoot of all times. Reese is beautiful in the luxurious designer gowns as she poses in Paris.